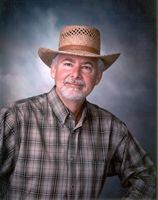 Fred B. McKinley is a descendant of Revolutionary War, War of 1812, War for Texas Independence and Confederate soldiers, a Texas Ranger, and whose father served in the U.S. Navy during World War II. He embarked on a long and distinguished career in the credit industry and retired with the Louisiana Department of Justice, where he served as a supervisory criminal investigator with the Attorney General’s office. A native of Beaumont, Texas, McKinley graduated from Lamar State College of Technology (1964) and Lamar University (1987). He attended Louisiana State University (1995), where he received a law enforcement certification. Co-author of one book titled Black Gold to Bluegrass: From the Oil Fields of Texas to Spindletop Farm of Kentucky (Austin: Eakin Press, 2005), and author of CHINQUA WHERE? The Spirit of Rural America, 1947-1955 (North Myrtle Beach: Willow Creek, 2003), McKinley has also contributed articles to The Texas Gulf Historical and Biographical Record, published in Beaumont, Texas; and to the national magazines of Country and Country Extra, both published by the Reiman Group in Greendale, Wisconsin. He is the father of three children, grandfather of three, and lives with his wife Dottie in North Myrtle Beach, South Carolina.